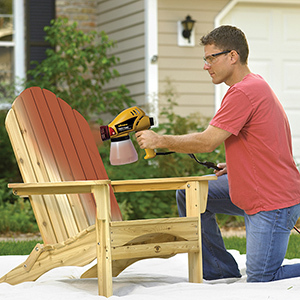 The Power Stainer makes outdoor staining projects faster than a brush. 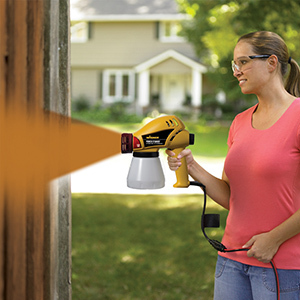 Ideal for difficult-to-stain objects like furniture, trim and fences, the Power Stainer sprays transparent and semi-transparent stains, sealers and some paints. Pattern and speed adjustability provide versatility for various projects. 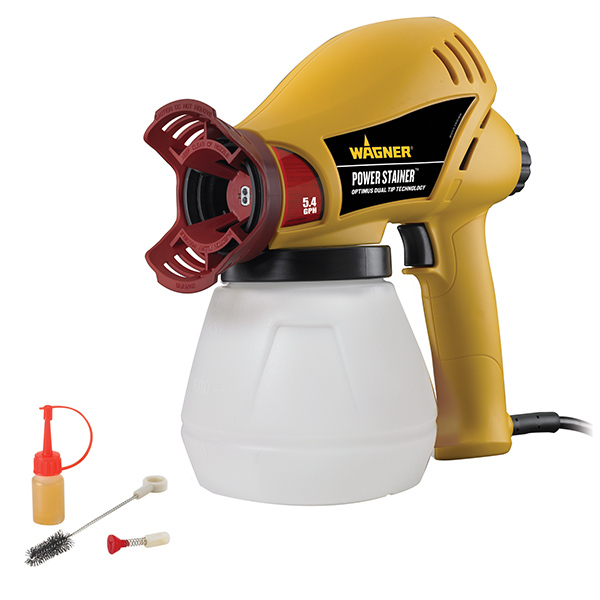 Power Stainer Sprayer is rated 1.0 out of 5 by 1. Rated 1 out of 5 by Brandon123 from Not what I was expecting Bought this a year ago for doors and trim. Just now used it for trim work. Better off painting by hand. Sprayer will spray then cut out and spit globs of paint spray and cut out. I filled the jug thinned it and still the same thing. Now my coworker just bought one and it does the same thing starts to spray then cuts off and spits globs of paint. Not a smooth constant spray. Can I use other paints beside stainers and oil based ones? 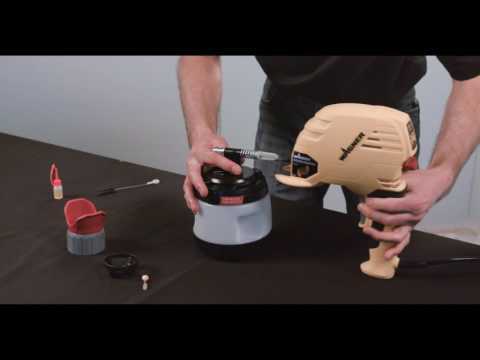 The Power Stainer is intended for stains both water and oil based. It was not meant for thicker paints. Take a look at our Power Painter series for more power to spray thicker fluids. For more help call us at 800-328-8251. New Wagner Power painter airless sprayer. The suction strainer cup falls off everytime I use it. I am staining a fence and when I remove the tank to refill, the suction strainer and cap have fallen off. I dont see any damage to oring or cap. If you have an EZ Tilt Power Painter the suction tube should screw into the bottom of the pump housing. If you would like to call us at 1-800-328-8251 with your model number we will assist you. how to dilute latex paint. Water is the only thinner for latex paint. Never thin more than 20%. Floetrol is an additive that helps the paint level quicker, but it is not a thinner. For a more specific recommendation we need to know which sprayer and what the project is. Call us at 800-328-8251 for a discussion.